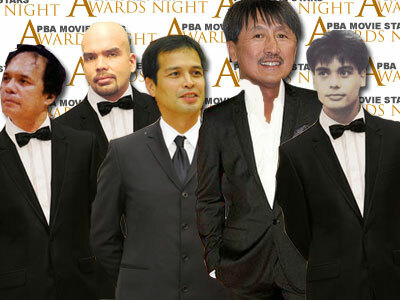 PBA players in the movies! Two things that Pinoys worship: artistas and PBA players. So when a PBA player takes his jersey off to showcase his acting chops, we accept it without much resentment. Though most of these PBA players probably don’t have the acting chops to get them drafted in the professional leagues of thespians, what seems to be important is that we’re seeing our favorite PBA players step on a stage where their spin moves, balyahan skills, or sweet shooting strokes rarely help. It was really before the year 2000 when PBA players popped in movies like zits on a teenager’s face. In 1997, a year after his team became the grandslam champs, Former PBA MVP Johnny Abbarientos starred in Go Johnny Go. Contemporaries Vergel Meneses and Jun Limpot showed up in Michael V’s Rubberman that same year. But the record holder for cramming the most PBA players in one epic fight scene in a movie remains May Isang Tsuper ng Taxi, which starred the late great FPJ.